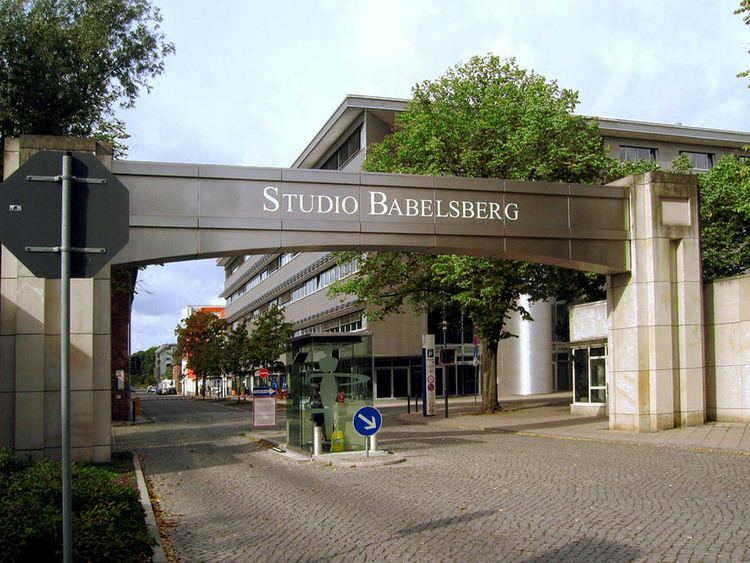 The Babelsberg Film Studio (German: Filmstudio Babelsberg, FWB: BG1), located in Potsdam-Babelsberg outside Berlin, Germany, is the oldest large-scale film studio in the world, producing films since 1912. Today it covers an area of about 25,000 square metres (270,000 sq ft) and thus is Europe's largest film studio. Hundreds of films, including Fritz Lang's Metropolis and Josef von Sternberg's The Blue Angel were filmed there. More recent productions include V for Vendetta, Æon Flux, The Bourne Ultimatum, Valkyrie, Inglourious Basterds, Cloud Atlas, The Grand Budapest Hotel and The Hunger Games. However, the first filming in Babelsberg began as early as February 1912 for The Dance of the Dead by Danish director Urban Gad. In 1920 the Deutsche Bioscop Gesellschaft merged with Erich Pommer's Decla-Film GmbH into „Decla Bioscop“. In 1921, Decla-Bioscop merged with Universum Film AG (UFA) which had been founded in 1917. This company built the large studio (which is now known as the "Marlene Dietrich Halle") in 1926 for the major film production of Metropolis by Fritz Lang. The first German sound stage in Babelsberg, the Tonkreuz, was built during 1929. Melodie des Herzens/Melody of the Heart with Willy Fritsch was the first German full-sound film. This was followed in 1930 by the premiere of The Blue Angel by Josef von Sternberg with Marlene Dietrich and Emil Jannings in the main roles.